This was one of the most suprising of the polishes I picked up. I thought that this was going to be a red...and not a very nice one at that. Oh, how I was wrong! Aldwych turned out to be a fantastic bright medium coral pink with shimmer. 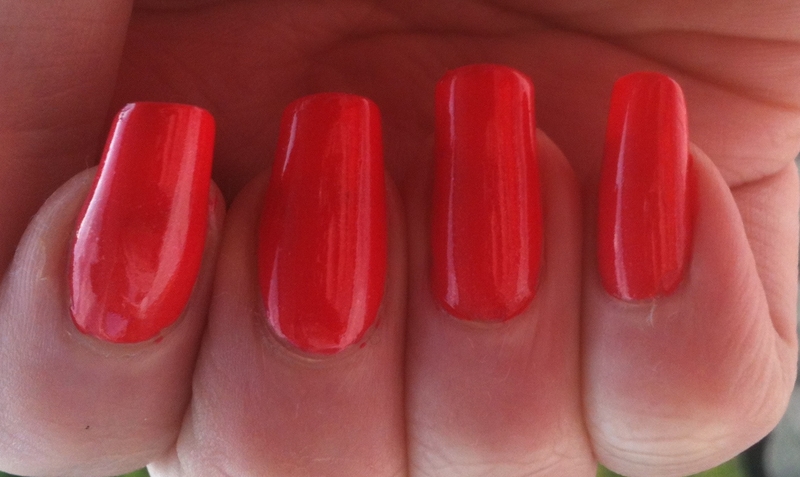 I did try and get a macro shot of the polish but it just wasn't happening :( This was opaque in two to three coats. I say that, because I could still see slight visible nail line on two of my nails at two coats.